From Ellen Gabriel to Tantoo Cardinal, many of the faces of Aboriginal people in the media today are women. 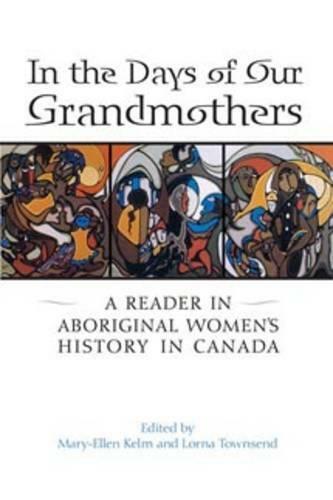 In the Days of Our Grandmothers is a collection of essays detailing how Aboriginal women have found their voice in Canadian society over the past three centuries. Collected in one volume for the first time, these essays critically situate Aboriginal women in the fur trade, missions, labour and the economy, the law, sexuality, and the politics of representation. Leading scholars in their fields demonstrate important methodologies and interpretations that have advanced the fields of Aboriginal history, women's history, and Canadian history. A scholarly introduction lays the groundwork for understanding how Aboriginal women's history has been researched and written and a comprehensive bibliography leads readers in new directions. In the Days of our Grandmothers is essential reading for students and anyone interested in Aboriginal history in Canada.